Styles by Arica Hart is on a social media site near you. 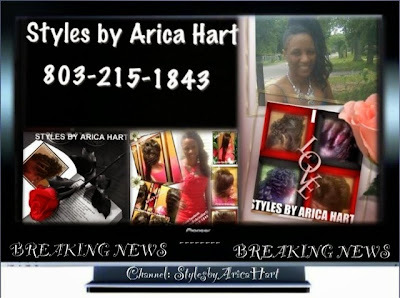 Go to your nearest laptop, tablet, computer, or phone and follow "Styles by Arica Hart" on my Blog, Facebook, Instagram, Pinterest, YouTube, Google +, and Twitter to keep up to date with hair tips, hair styles, and more. hair, I'll put some there. If you need a little moe, I'll make it grow. Come get your hair styles by Arica Hart. Styles by Arica Hart other Motto: Keep calm, Don't be stressed. Look your best and step out fresh with a hair Styles by Arica Hart! 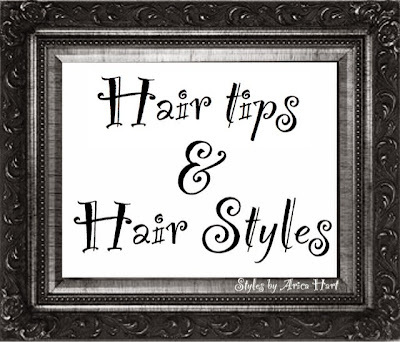 *Below is a list of links to some hair tips and some hair styles on social media ! !